Days of Our Lives (DOOL) spoilers and updates for the week of March 6 through March 10 tease that some Salem shockers are on the way. Julie (Susan Seaforth Hayes) will continue to struggle with guilt in the coming episodes. She hates that she didn’t get a chance to reconnect with David (Gregg Marx) before his untimely death. However, some good news will come out of all this. Julie will get some stunning updates pretty soon. Days fans know that Eli (Lamon Archey) recently arrived in town and he’s eager to reach out to David’s family. He’s furious with Valerie (Vanessa Williams) for deceiving him, but he’ll try to forgive her eventually. As for Julie, Eli will believe it’s time for her to hear the truth. 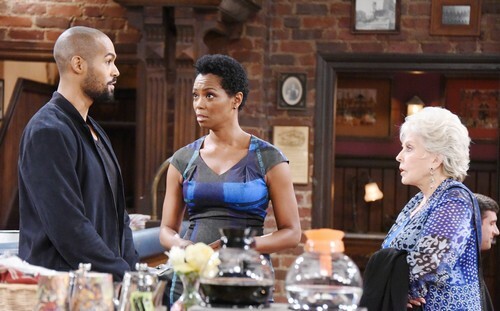 Days of Our Lives spoilers say Eli will push Valerie to make a full confession. He’ll vow to tell Julie himself if Valerie doesn’t come clean. Valerie will agree that she should admit her wrongdoing. She owes Julie an explanation for her biggest mistake. DOOL’s weekly preview video shows Valerie getting choked up as she reveals that Eli is David’s son. Julie’s jaw will drop when she realizes Valerie has been keeping this a secret. She’ll raise her hand and smack Valerie across the face. Valerie might suggest that she deserved it. Julie will insist that David was robbed of the opportunity to know Eli. Eli was never able to reach out to his father. Valerie’s lies kept them apart and the revelation has come too late. David is gone and there’s nothing any of them can do about it. Julie will welcome Eli to the family with open arms. She’ll feel like they need each other now more than ever. Days viewers can expect Julie and Eli to bond over this experience. They’ll determine that David would’ve wanted them to be close. Of course, telling Kayla (Mary Beth Evans) is the next step. Steve will worry about how she’ll react, but he won’t want to keep this under wraps. He’ll think it’s a good idea to tackle this issue head on. 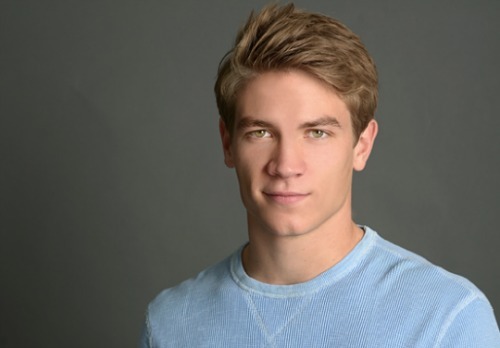 Joey (James Lastovic) will also freak over Steve’s information. He’ll fear that the truth about Ava’s murder will come out. It sounds like Days has some excitement in store for us. Stay tuned to DOOL and don’t forget to check CDL often for the latest Days of Our Lives spoilers, updates and news. Come and join in the LIVE discussion on our Facebook Page. ‘Days of Our Lives’ (DOOL) Spoilers: Gabi Shocked by Eduardo’s Arrival – Marlena Hypnotizes Chad, Causes Will’s Murder?